Refusing to give details of foreign tours by ministers and officers, and staff particulars of AG without hearing the appellant was wrong. The Central Information Commission M Sridhar Acharyulu on 12th November, 2014, has set aside the order of First Appellate Authority of Department of Legal Affairs as it was given without hearing the appellant. CIC also recommended action against the officer for this ‘illegal’ order. The appellant, Mr. R K Jain, a leading lawyer and an RTI expert, sought information about staff given to Attorney General of India, file opening registers of all the administrative sections and cash sections of the department of legal affairs, implementation of pro active disclosures about foreign and domestic tours of ministers and officers of the rank of joint secretary and above and head of the departments, notings about seven letters written by him, notings of 13 RTI Applications filed by him earlier, list of computers and other equipments installed at the office of Attorney General of India, details of laptops provided to him, payments made for AMC etc, action taken on his letters referred etc, details about appointment of an advocate as representative of Union in a particular case, first page of his appeal referred, detail of implementation of some guidelines of DoPT, RTI applications received by various CPIOs and CAPIOS of department of Legal Affairs till now, etc. 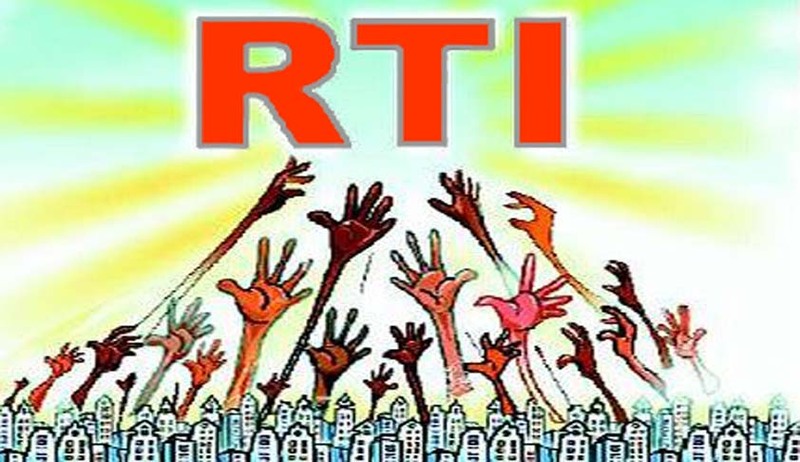 The officers from Respondent Authority represented that it was just impossible or difficult to provide the responses to the RTI questions, which would be quite voluminous, as files sought pertain to several years, running into hundreds or thousands of pages. They said they were tense and very apprehensive of consequences for any of their responses and thought inspection would serve the purpose and whatever papers he wanted could be given copies thereof. Whereas the appellant sought copies first and then he would like to have inspection with the copies in his hand. CPIO invoked Section 7(9) to deny saying that it would divert material resources of the office, which was upheld by First Appellate Authority without hearing the appellant. Commission observed that appellant should be given a chance to appear and explain his case before making any decision. The Commission cited the decision of Supreme Court in its Civil Appeal No.9095/2012 Manohar Vs. State of Maharashtra, stated in para 23: ...Thus, the principle is clear and settled that right of hearing, even if not provided under a specific statute, the principles of natural justice shall so demand, unless by specific law, it is excluded. It is more so when exercise of authority is likely to vest the person with consequences of civil nature. The respondent authority admitted that they had not sent the hearing notice in this case. The Commission observed: Passing orders in first appeal without hearing or sending hearing notice is illegal and will render the order invalid. The Commission has set aside the order of First Appellate Authority for breach of natural justice by denying the appellant a chance of presenting his case and by raising entirely a new defence which was never claimed. The Commission recommended to initiate disciplinary action against the officer who was First Appellate Authority though he retired from service. The Commission also directed: When huge information/record sought pertains to a larger period such as ten or more years, which does not attract any exceptions under Section 8 or 9, the best way of realization of access right is to facilitate inspection. It will help the appellant to select the relevant documents and seek copy of only those documents found relevant instead of copying huge number of files wasting time and money of both parties. The public authority should find a convenient place for facilitating inspection taking enough care for security of records. If someone wants copy of entire record of the office, it may not be possible or reasonable besides attracting the restriction under Section 7(9). If the records pertaining to areas exempted from disclosure are separated and the public records are kept accessible to citizens, it would serve the purpose. During the inspection the appellant should be facilitated to sit and take notes from the files and if he seeks copies of any documents which are permissible, they shall be given then and there at prescribed cost. The Commission welcomed the directive of DoPT (21.10.2014) saying: Public Authorities have an obligation to pro-actively disclose RTI applications and appeals received by them and their responses on the websites, except relating to the personal informatioon of an individual may not be disclosed, if they do not serve any public interest”. The Commission directed the Respondent Public Authority to comply with these directions.